This is by far my favorite quote from the Forum. The question is (paraphrased) "How can we afford healthcare?" 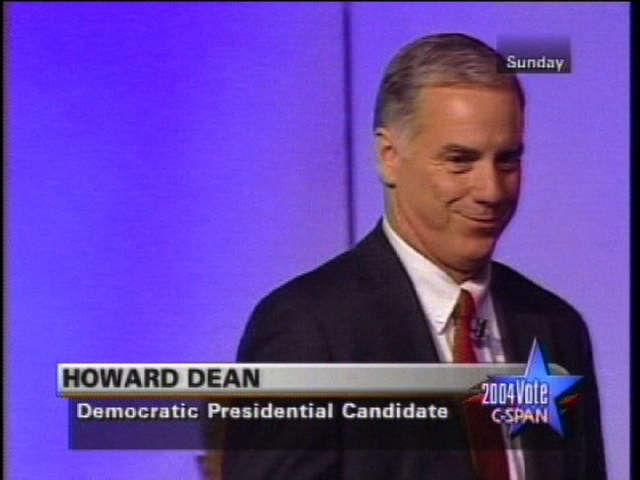 "If you say to the American People 'You have a choice. You can have the President's tax cut, or you can have health insurance that can't be taken away. You can have the President's tax cut, or you can fully fund Special Education. You can have the President's tax cut, or you can start to balance the budget and get jobs back again in this country. What people are gonna say is 'I'll take the jobs, the education, and the health care, cause I didn't get the President's tax cut.'" 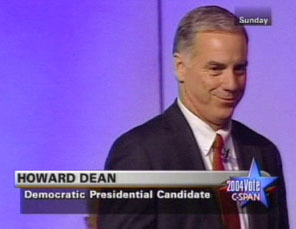 - Howard Dean.